The Flowfriend Pump gives you Max Flow with the minimum cost. 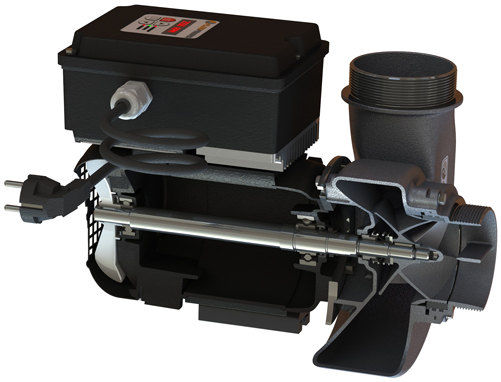 The Flowfriend Pump is way ahead of time in the field of energy efficient water pumps. The Flowfriend motor is a premium-efficiency motor IE4. 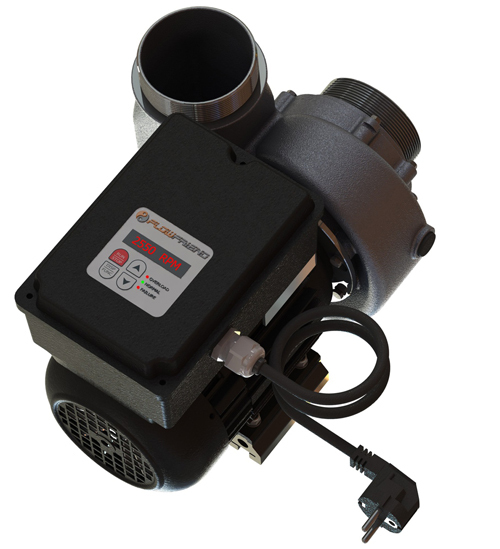 The Flowfriend Pump meets the latest energy requirements from 2015 what will be required in the industry. The engine is fully developed and manufactured in Germany. The flow is adjustable by speed (800-2550 rpm). For controlling the pump a display on the unit is built, where the power, speed and hours are shown and can be adjusted. 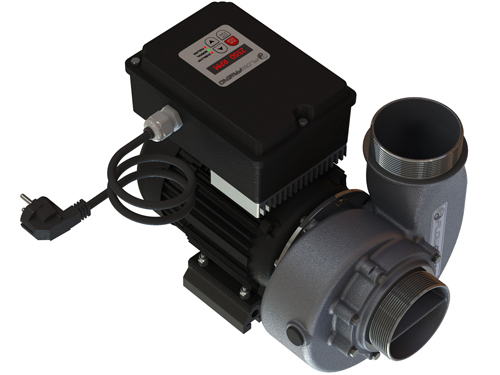 The Flowfriend pump is a highly efficient, new generation permanent magnet motor, its made from the highest quality components available in German. An ingenious and optimised hydraulics, fully stainless steel casting. The main advantage of permanent magnet motors compared to a frequency controlled a-synchronous motors is the remarkably high efficiency at low rpm. However, even in the higher rpm range, they are significantly more economical. a significant extent the overall efficiency of the pump. More pressure available then a propeller pump, which in some pressure piping is unsuitable. Much more pressure than comparable pumps with maximum m3. Almost all pumps available with larger capacities (watts), have more than 10 meters head. This is very much at the expense of the available flow (number m3). This pressure is a good pond completely unnecessary. The hydraulics of the Flow friend is fully of cast stainless steel 316. Robust, smooth and a perfect shape for minimal internal losses. Thus, the Flow friend has 3 "(90mm) inlet and outlet. The allowable size of particles is less than 15 mm. The result of the pump is best displayed in the charts pump. The pump was tested at a test facility that meets the following standards: BS EN ISO 9906. The test bench and the prototype was shown during the Interkoi April this year in Germany. The flow test bench and production Flowfriends will to be showed during the Koishow in Arcen. Not only is the flow / pressure characteristic shown, but also a so-called Power Curve. Here you can at any point of the graph also also the exact energy of the pump will consume! Flow friend Pump is a dry to pump for fresh water. Specially designed for large amounts of water in the head range between 0 and 5 meters.